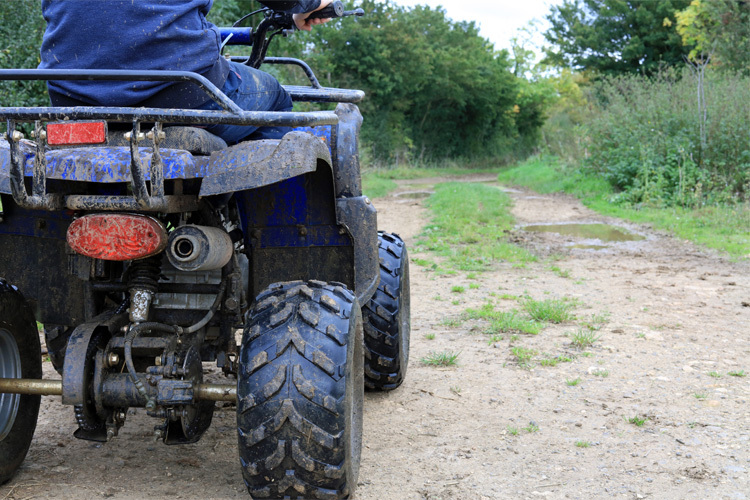 Want to know where you can ride your ATV? Here are the best websites, maps and Apps for finding great riding trails near you. “Where can I ride my new ATV?” That’s the number one question fielded by the nation’s powersports dealers and approximately 600 ATV clubs. 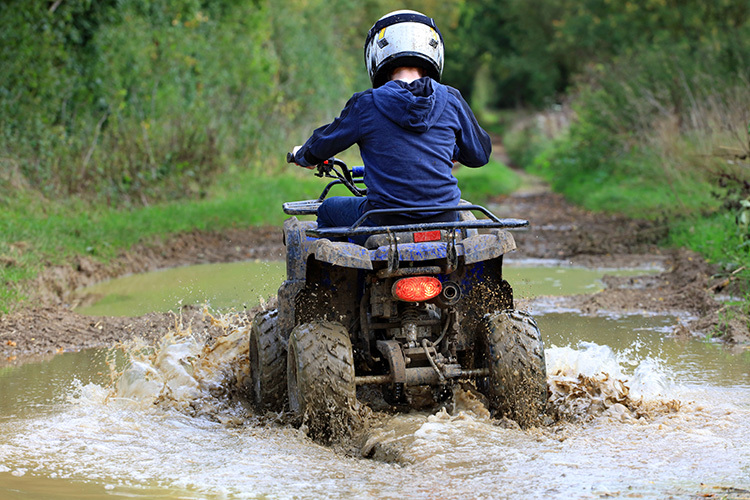 Sales of off-highway vehicles (OHVs), especially “side-by-side” ATVs that seat from 2 to 6 people, continue to climb. 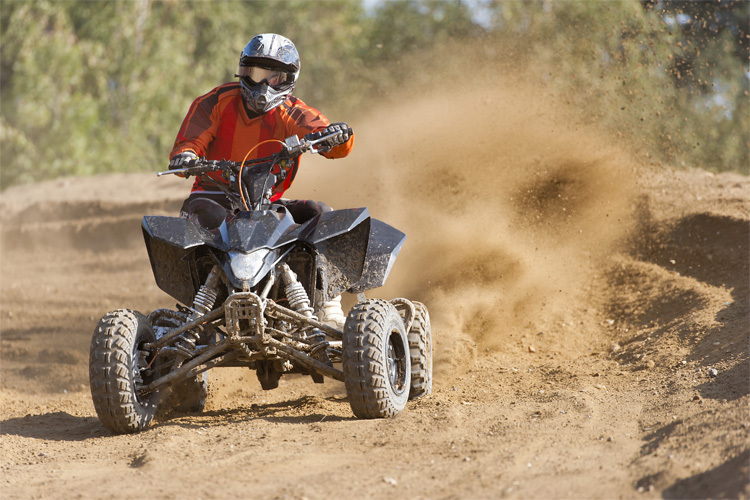 These days, however, ATV dealers are so busy they often forget to give first-time buyers information on where they can ride their new vehicles. 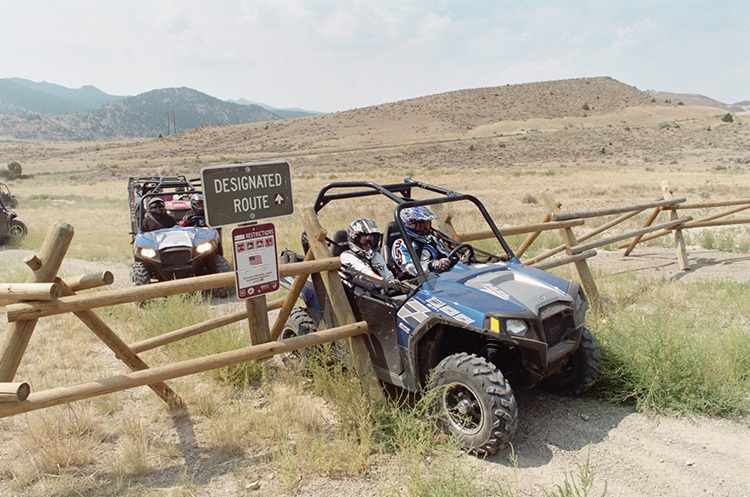 Here are the top resources you can use to discover fun, scenic places to ride, including designated, signed trail systems with parking at trailheads, forest roads on state and federal lands, and private ATV parks. Step Outside's integrated map automatically pulls all of the nearby rider information near you. Just type in your town or zip code to search your area on the site. You’ve come to the right place. Start your search with the map accompanying this page to find local destinations where you can go to enjoy riding off-road with friends and family. Sites, like RiderPlanet-USA.com, are an excellent source for trail information. 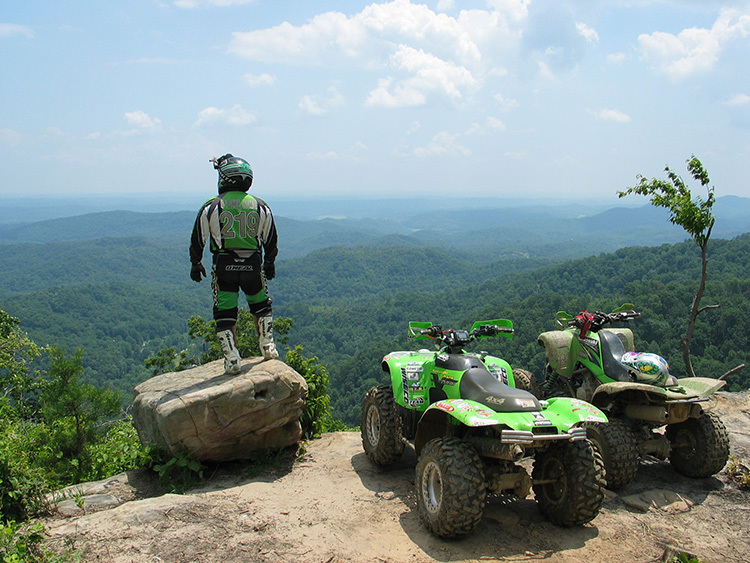 The author uses this site for organizing group rides for the Woodtick Wheelers ATV Club. 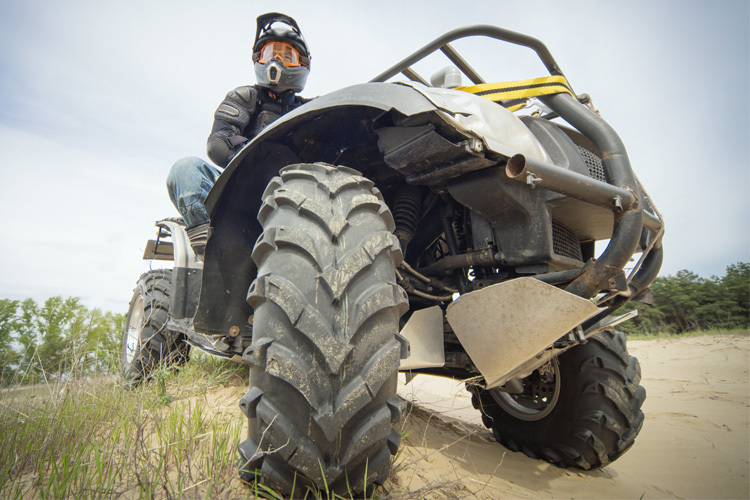 This website displays a state-by-state list of public and private destinations for riding ATVs and side-by-sides (SxSs), as well as dirt bikes and 4WD trucks. 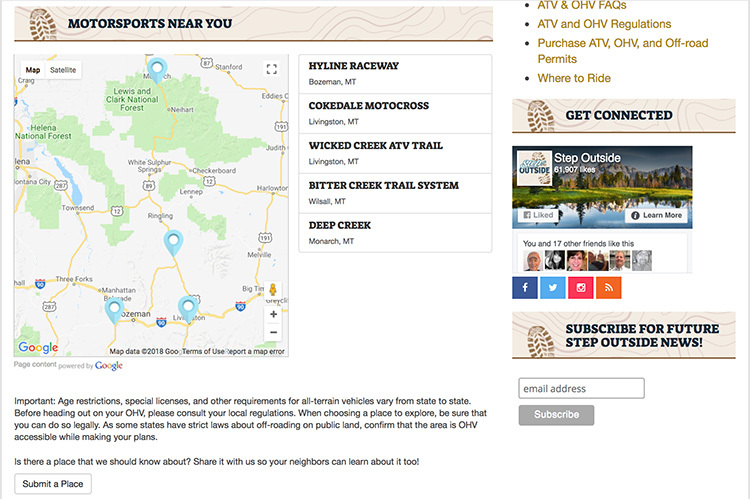 Go to the website, tap on the state you are interested in, and you’ll discover a long list of public trails, open riding areas, private ATV parks and motocross tracks. Details for each include open/closed status, rules and regulations, trail miles, difficulty level, local services, directions, plus photos and videos submitted by riders. 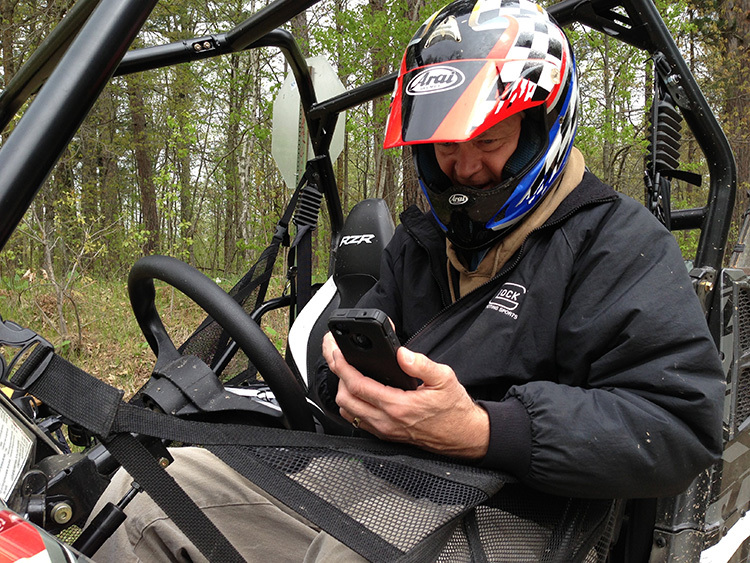 On the trail, the author uses Polaris' Ride Command to access trail information instantly on his smart phone. Created by Polaris Industries, Ride Command home for ride planning, this website shows designated, signed ATV Trails, and legal routes on gravel roads in State and National Forests across the U.S. Create an account and log in, then click on “map” and zoom into the area you are interested in. You’ll see the legal routes and trails, and which types of off-road vehicles are allowed on them. The far-left column lists public and private riding opportunities in the area, with links to their websites for more information. Quick tip: Stay powered up and connected! Carry spare batteries for your GPS, and a power cord to plug your mobile device into the 12v outlet or USB port of your ATV. 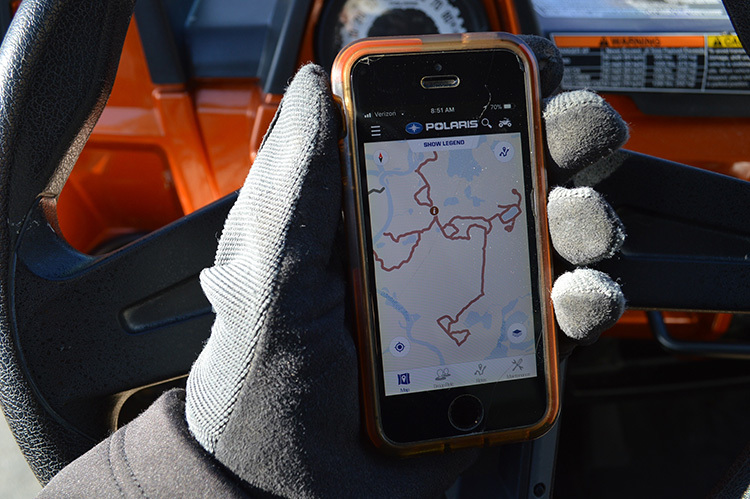 The Ride Command App, which is optimized for snowmobiles and off-roading, shows trails as well as your GPS location on your smart phone. Used by over a half million riders, this free app displays the same trails as the Ride Command website, but it also shows your GPS location on your smart phone or tablet while you’re out riding. Download it from your app store and sign in with your email address. Open the App at the trailhead, and you can track, name and save your rides. The App also shows the nearest locations for food, fuel, lodging and ATV dealers. Create a Group Ride, and your digital device will show where everyone in your group is located on the trail during a ride. The Whitetail-Pipestone OHV Area in Montana is typical of the large public-land areas in the West that are managed by the BLM and the USFS. The U.S. Forest Service (USFS) manages over 150 National Forests. Many of their Forest Roads are open to both highway-legal vehicles and off-highway vehicles. Some also have designated, signed trail systems that are open to ATVs and SxSs that are 50 inches or less in width. 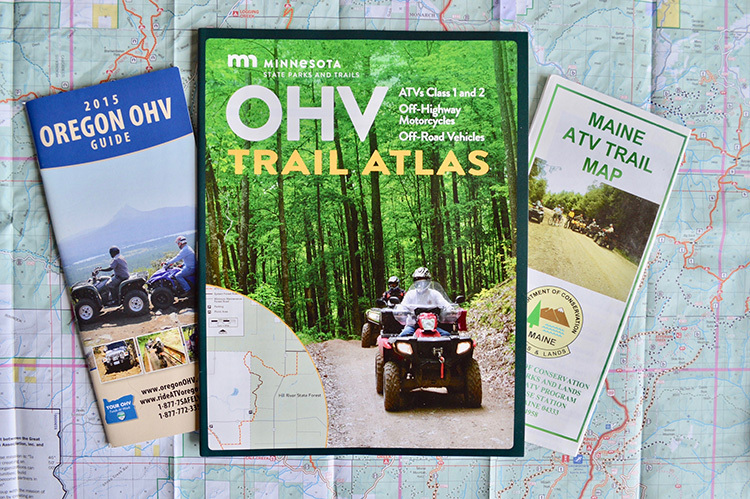 National Forests print a Motorized Vehicle Use Map (MVUM) identifying those roads and trails, available at Forest Service offices. The Forest Service Interactive Travel Map is an online tool that also shows routes and trails. In Western states, many of the public lands managed by the Bureau of Land Management (BLM) also have areas designated open to OHVs, in mountainous terrain, dunes and deserts. To learn more about the riding opportunities in your area, check with your nearest BLM office. Many states offer excellent trail maps, which can be ordered or downloaded by doing a quick search on your computer. Enter “(your state) DNR ATV Trails” for more information. Many states have Natural Resource or Game & Fish Departments responsible for building and maintaining ATV trail systems on public lands. 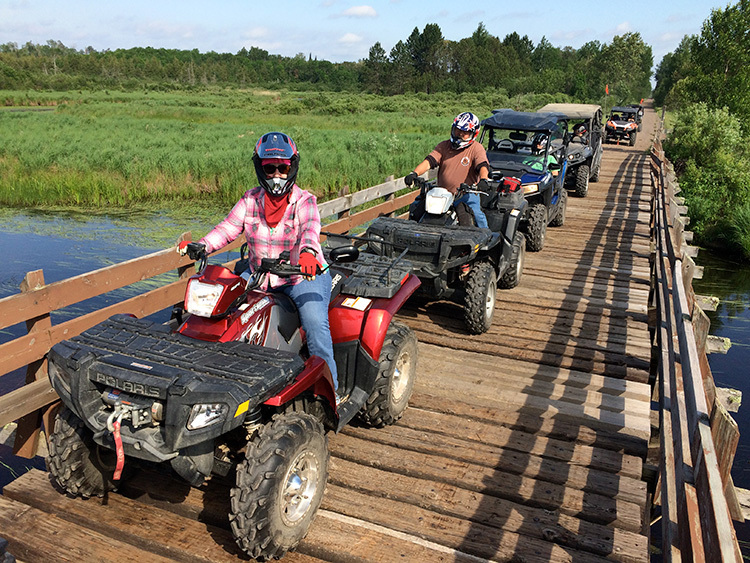 Minnesota, for example, has 70 trail systems open to the riding public, many managed in partnership with ATV clubs. 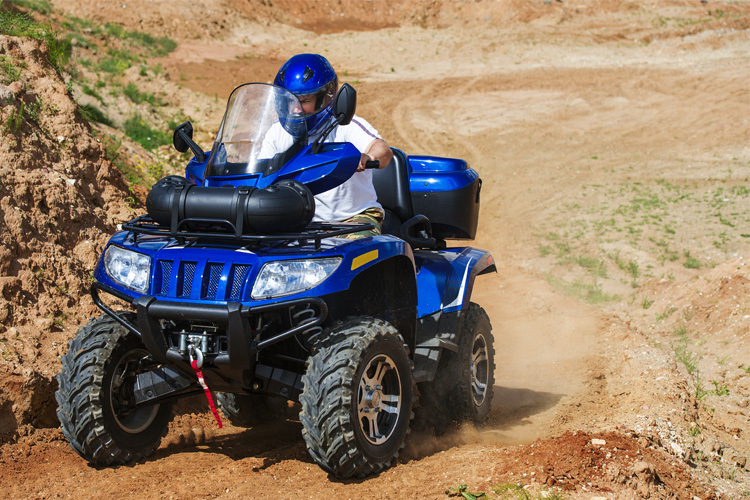 Finally, one of the best ways to discover the best ATV trails in your area is to join a local ATV club, that will take you and your family on guided rides. Ask your powersports dealer for the names of local clubs where you live. About The Author: David Halsey has been riding snowmobiles for 50 years and writing about sleds and ATVs for 35 years. He is president of the 400-member Woodtick Wheelers ATV/OHM Club in northern Minnesota, and writes articles for the MN OffRoad magazine and the newsletter of the ATV Association of Minnesota (ATVAM).